Two award-winners from the world of television news and documentaries will host this year’s NHS Health and Innovation Care Expo. 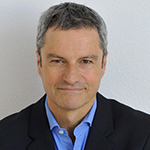 Gavin Esler, a familiar face as a former news reader and presenter of the BBC’s flagship current affairs programme, Newsnight, will share the compere duties with Jenny Kleeman who specialises in hunting down and telling unique stories from some of the most remote corners of the planet. They will be introducing and quizzing this year’s key speakers and panellists on the two main stages at Manchester Central as it stages the annual flagship NHS event that attracts delegates from across the health, local government and social care sectors. Gavin is a veteran radio broadcaster and writer who has penned five novels and two non-fiction books. His most recent publication, entitled Lessons from the Top, is inspired by his conversations and interviews with numerous heads of state and world leaders. It examines how successful leaders use stories to educate, persuade and bring about change. The BBC’s Chief North America Correspondent for eight years, based in Washington, Gavin has reported from countries as diverse as China, Peru, Argentina, Cuba, Brazil, Russia, Jordan, Iran, Saudi Arabia and from the Aleutian Islands, as well as all across Europe. On returning to the UK, he joined the presenting team on the BBC’s flagship news and current affairs programme Newsnight. As well as being a BAFTA member, a Fellow of the Royal Society of Arts and the holder of a Royal Television Society Award, Gavin was also awarded a Sony Gold Award for his BBC Radio 4 programme, Letters from Guantanamo. Award-winning journalist Jenny has fronted a number of films for Channel 4’s foreign affairs documentary series Unreported World. Jenny has covered stories from across the globe; from the depths of the Amazon rainforest to the film sets of Afghanistan’s movie industry, via Liberia, Cambodia, Nigeria and Honduras. Back on home turf, she’s reported for BBC 1’s The One Show, and reviews the newspapers on Sky News and BBC News Channel. 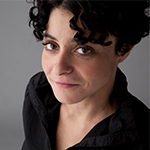 Jenny has also written extensively for The Guardian, The Sunday Times, New Statesman, The Observer and Vice Magazine. She won the One World Media Television Award in 2011 for ‘Manila: The City with Too Many People’, and was Shortlisted for the Amnesty International Gaby Radio Journalism Award in 2012. Among the leading speakers Gavin and Jenny will host, they include NHS England Chief Executive Simon Stevens, Health Secretary Jeremy Hunt, the Chief Nursing Officer for England Professor Jane Cummings, and NHS England’s National Medical Director Professor Sir Bruce Keogh. The overarching theme for the event is ‘Collaboration to implement the NHS Five Year Forward View across health and social care’. As well as the two main ‘Future NHS’ and ‘Innovate’ stages, and four smaller theatre stages, there will be four feature zones focusing on the key areas of Transformation of Care, Urgent and Emergency Care, Primary Care and Digital Health. The zones are dedicated to in-depth, varied discussion, learning and engagement focused around a single area of health and social care work. Each zone runs its own programme of speakers and activities throughout the two days.